The sound of Breakbeats, House, and Booty music collide in an audio portrait of South Beach. Go from club to club with this mix and you will be the DJ to see. 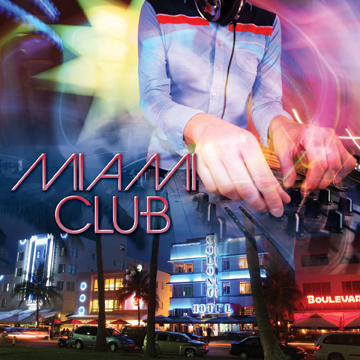 Flashing lights and packed dance floors are sure to be your lifestyle when you go to the Miami Club. Includes Killer Drum Machine Beats and Highly Technical, Stutter Effected Drum Rolls. Grimey Distorted Basslines give way to Chopped up emotional strings that flutter back and forth on the Frequency Dial. Copyright free Vocal Performances can be used to make remix after remix. If you run out of steam just grab an energy drink and mix these loops.